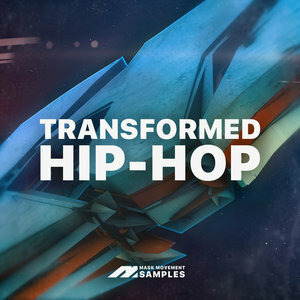 Mask Movement Samples and Histibe presents Transformed Hip Hop, a multigenre sound library for music producers who appreciate a unique fresh approach in their productions. The sample pack is made in the form of extraordinary twisted Hip Hop drums and Hybrid Electronic Dirty Trap sounds. Packed full of transformed glitchy drum loops, dirty fat basslines, gnarly synths, pulsing sequences, and an essential collection of one-shot drums, effects, and vocals. At tempos from 70 to 140 BPM, Transformed Hip Hop is perfect for Hip Hop, Rap, Dubstep, Trap, and Grime fans. Histibe has been involved in various music, video, and art projects during the past decade and is known for his own style, pushing various underground genres forward and innovating sample packs to a new level. His determination and experimental sound design stands up there with and exceeds the very best in the market. This sample library is a true reflection of Histibe signature sound with a clear goal. Bringing something fresh to the culture, blending contemporary Hip Hop and Electronic music with professional sound design.